PE0283. 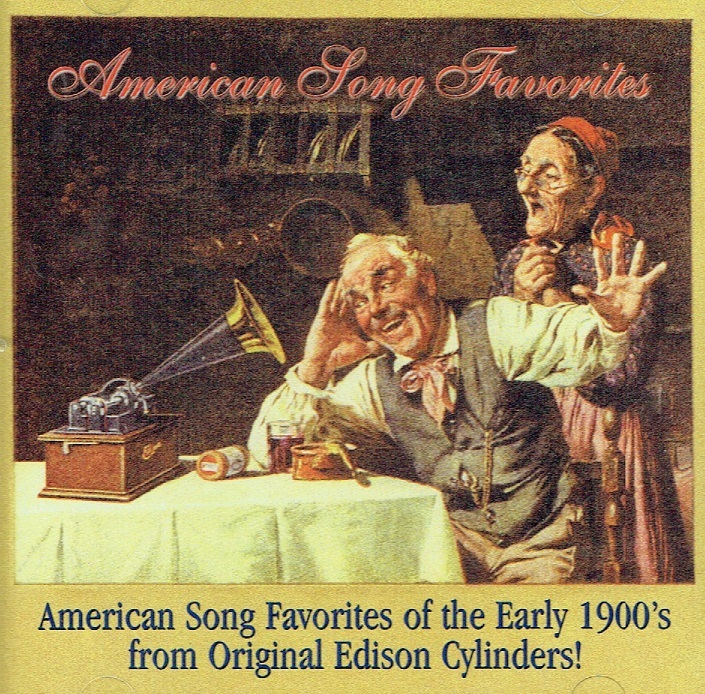 AMERICAN SONG FAVORITES of the early 1900s, from Original Edison Cylinders, incl. Harry Lauder, Frederick Potter, Ada Jones, Billy Murray, Arthur Collins, Manuel Romaine, Albert Farrington & Walter van Brunt. 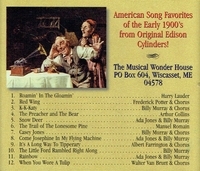 [This long out-of-print CD is now available in a limited number of sealed copies which have just been discovered from the now defunct Musical Wonder House of Wiscasset, Maine; Billy Murray's renditions of 'The Little Ford Rambled Right Along' and 'K-K-Katy' alone are worth the price of the CD!] Privately produced by The Musical Wonder House of Wiscasset, Maine. Sealed. 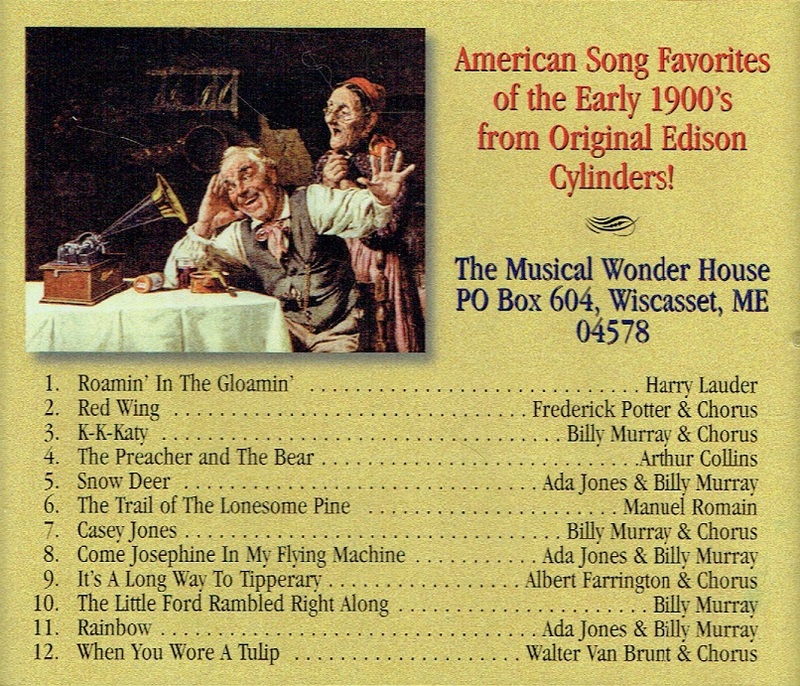 "Remarkably bright and clear transcriptions from Original Edison Cylinders created in the early 1900s in this delightful journey into the distant past. Highly recommended!"